It’s time to own your health! Attend a 9 Health Fair this spring. Free life-saving, professional health screenings, ranging from vision, hearing and skin, to our popular Blood Chemistry screening, are available April 6th at Windsor Middle School from 7 am to 11:30 am. Use the online registration to reduce your wait time and to receive secure electronic results available within two weeks of attendance. (No social security number or personal ID is required.) Volunteer medical professionals will call you within 72 hour if a critical health issue is discovered. 9 Health Fair celebrates 40 years of providing Coloradans access to important preventive health screenings and education. Over 2 million lives in Colorado have been impacted by 9 Health Fair over the years, from gaining valuable information about their health to life-saving interventions. As health care costs and confusion rise, 9 Health Fairs remains affordable, accessible and convenient. In addition, 9Health has added services and support, including education, digital tools and personalized health information to assist people year-round. 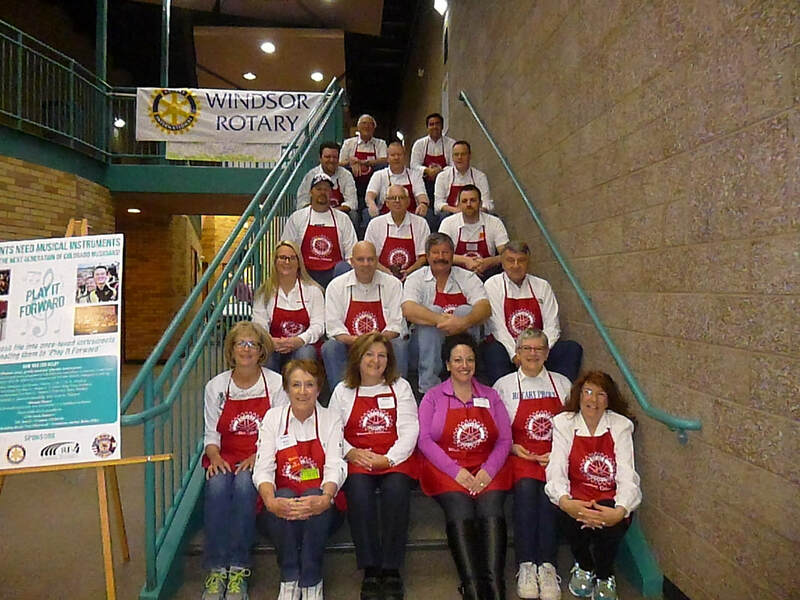 ​Windsor Rotary Club is committed to being a part of this state-wide 9 Health Fair event. 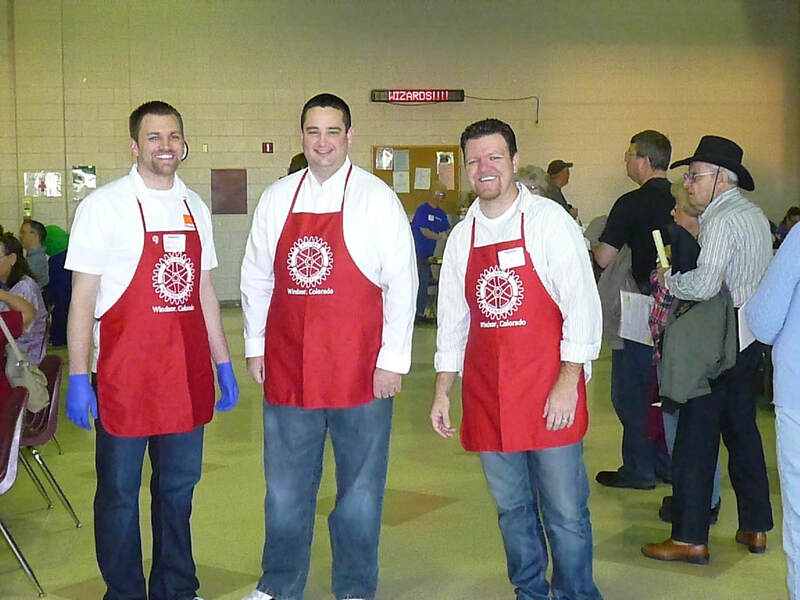 We serve approximately 500 to 800 Windsor community members at the annual fair held each April. This involves the participation from everyone in the club and often the youth Interact club. Low-cost health tests include Blood Chemistry Screening ($35), PSA Screening for men ($35), Blood Cell Count ($25), Vitamin D ($50), Hemoglobin A1C ($35), testosterone ($40) and the take-home Colon Cancer Screening kit ($30). This year, fasting is not required (optional) for any blood screening. Free blood work vouchers are available to those who need financial assistance. Windsor’s 9 Health fair will offer a medical professional with whom you can discuss health-related questions. Dozens of other tests from pap smears and testing for Hepatitis C to sleep apnea and memory screenings are offered at certain sites. You can find a full list of screenings here. For additional information about the impact 9 Health Fair has made in communities across Colorado. To find another fair near you or get more information, check out their website. You can also call 303-698-4455 or toll-free 800-332-3078. We’re proud to announce the launch of our new website. Our new website has been developed to showcase our strengths and reflect our passions: providing a service to the communities of Windsor and Severance and our international projects. The new website boasts a clean design and intuitive and consistent site-wide navigation to help you find your way around with ease. We’ve introduced a range of new content to the website, including a clear message of who we are and our fantastic breadth of partnerships in the Windsor and Severance communities. It is also fully responsive with mobile devices, making it easy to navigate on a wide range of web browsers and devices. We will continue to develop and improve the website, including pages on our fundraising and service projects, to provide you with all the information you need to join and collaborate with us. We’re really proud of the new website and we hope you find it helpful.